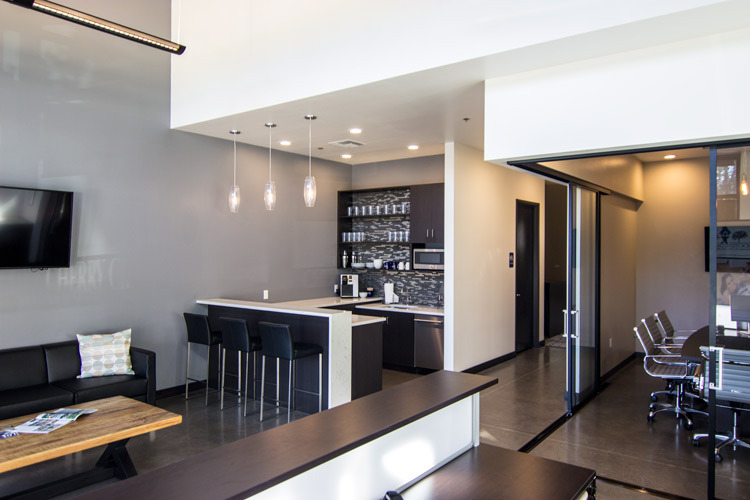 Focused on building long-term relationships, Cherry Creek Mortgage invested in the Kruse Village development to establish a retail location for direct outreach to qualified borrowers in a casual setting. Kruse Village is a retail and restaurant hub spanning five acres that serves more than 7,000 daytime office employees within short walking distance. 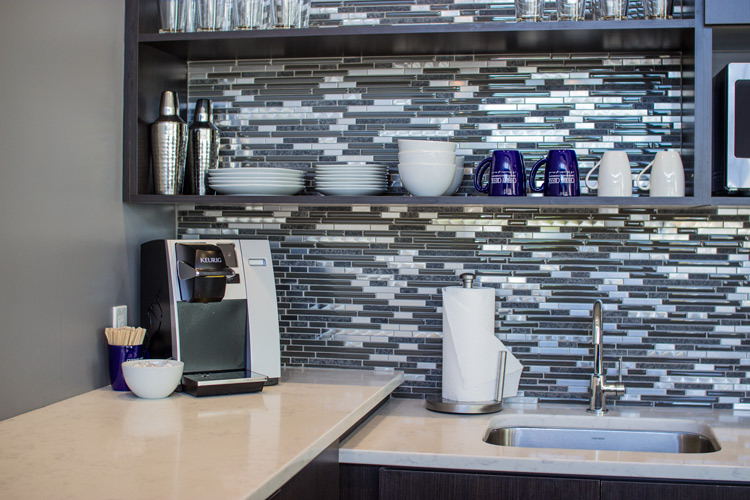 It is also easily accessible to the surrounding residential neighborhoods of Lake Oswego. 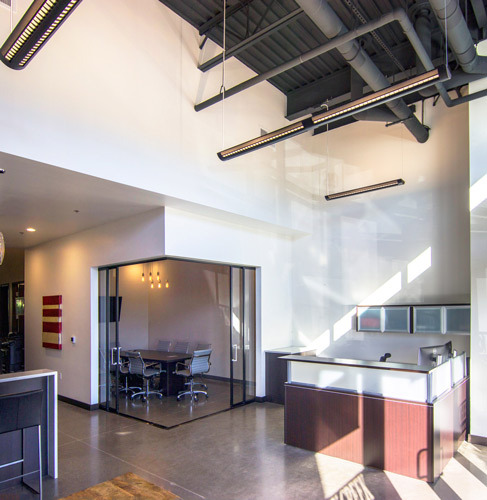 Cherry Creek’s new retail office is a collaborative workspace that lends itself to larger marketing events, local art display and informational seminars. 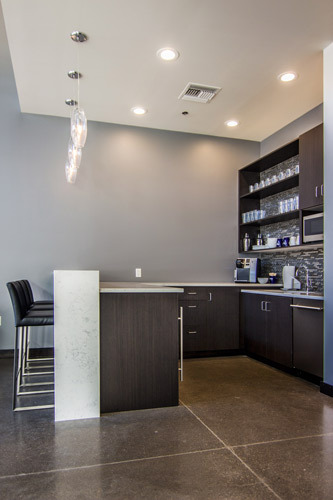 This multi-purpose space is achieved by creating a refreshment bar kitchenette that opens up to the lobby, creating an open residential living room feeling that encourages relaxation and lingering to reinforce Cherry Creek’s focus on long-term relationships. 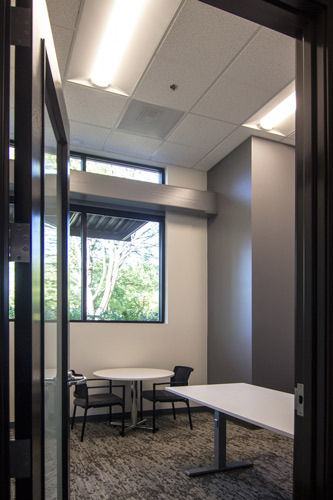 The conference room, which serves as a meeting room, signing room, lecture space, and catering hub, is delineated by sliding partition doors that recede at the corner, completely opening up to the main gathering area for larger events. 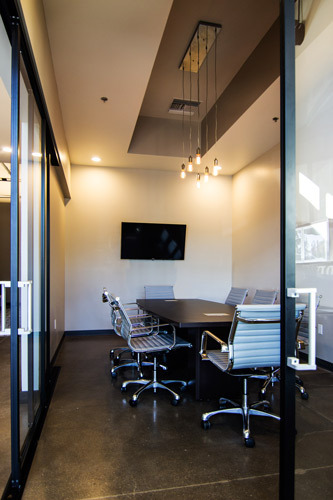 Cherry Creek Mortgage Company holds fast to straightforward ideals: Passionate service, honesty and a commitment to their company and clients. They have achieved 320% annual growth based on volume since 1991. Much of the credit can be attributed to an active ownership, conservative underwriting standards and focus on long-term relationships.